The Indianapolis Colts today signed cornerback Sheldon Price to the active roster from the practice squad and waived tackle Andrew McDonald from the active roster. Price, 6-2, 198 pounds, has spent the entire season on the Colts practice squad. He was originally signed by the team as an undrafted free agent on April 30, 2013 and was signed to the active roster from the practice squad on December 26, 2013. He was inactive for the 2013 regular season finale and both postseason contests. At UCLA, Price competed in 47 career games (45 starts) and totaled 157 tackles (123 solo), 21 passes defensed, five interceptions and two forced fumbles. As a senior in 2012, he tied for the team lead with four interceptions and set the school’s single-game record with three picks against Houston. Following the season, Price participated in the 2013 East-West Shrine Game. 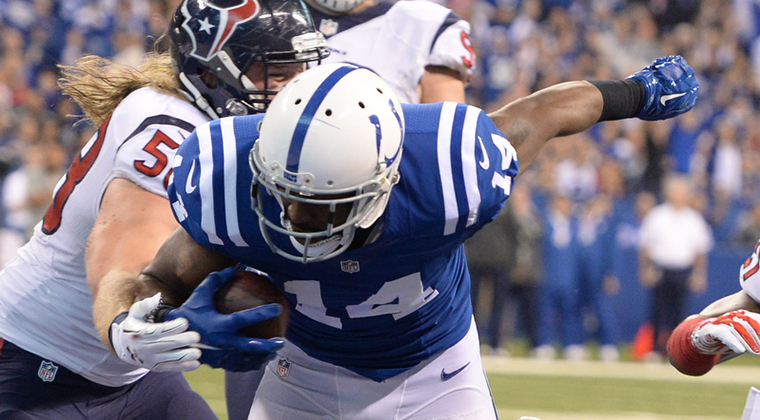 McDonald was signed by the Colts as a free agent on December 3, 2014. He played in two games with the Seattle Seahawks this season before being signed to their practice squad on November 22, 2014. McDonald was originally signed by the Miami Dolphins as an undrafted free agent out of Indiana University on May 14, 2012 and also spent time with the Carolina Panthers in 2013.